Instagram is a world wide application which makes people has much fun during their free time, but very frustrating at times when you are trying loading videos on Instagram but all to no avail, most especially when you are about uploading your favorite pictures or videos. Sometimes you will feel like throwing away your phone, and at that particular time you will feel upset because you are in haste of letting people see how beautiful you are. Or you’re wondering on how your Instagram app refuses to load? Well here I am with the tips you need in order to solve the issues regarding refreshing and loading Instagram videos and pictures. But before I proceed I will like to let you know that there are so many issues that can make your Instagram refuse to refresh or load your videos but the highest of all is the internet connection of the phone you use. 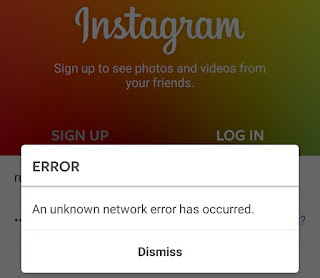 Internet Connection: Internet connection issue is the biggest and number one problem of all the issues which can deprive your Instagram from loading. Switch to Strong Signals: For you to enjoy your Instagram app, then you need to switch to a strong internet signal such as 3G/4G. Make sure you don’t use 2G signals, reasons being that 2G signals are very week. If you try loading your Instagram with 2G signal then the issue of not loading you favorite video will still persists. Delete Instagram App: if the problem still persist after restarting your device and giving it time to boot, then don’t waste your time just delete the application from your device because the app might be corrupted. Click INSTALL to download the app on your device and that’s all. I hope with the above tips you are now able to solve the issues of been unable to load your Instagram videos and pictures. Thanks for reading and stay tuned for more useful tips by GadgetSpirit.